Sunday. 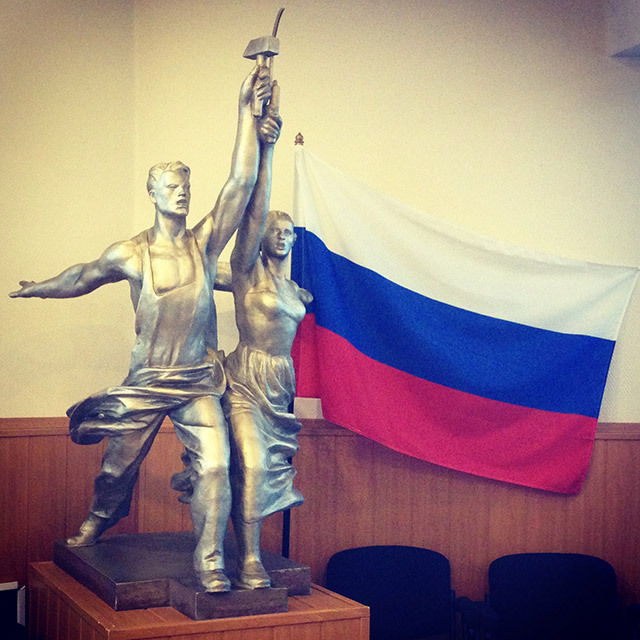 "Worker and Kolkhoz Woman" is a famous landmark of monumental art that was chosen in 1947 to serve as the logo for the Mosfilm film studio. Mosfilm, Europe's largest movie studio, will celebrate its 90th anniversary this year. The Multimedia Section prepared a historical gallery and a video entitled "A day in the Mosfilm cinema studio" dedicated to this movie town located in the southwest of modern-day Moscow.